Home › Action › Join the Rebel Riders of the Ecopocalypse! On Monday 8 April at 09.00 Euan, Roger Creagh-Osborne and Ewan Jones will leave the Moor in Falmouth, sent off by a gathering of XR supporters. 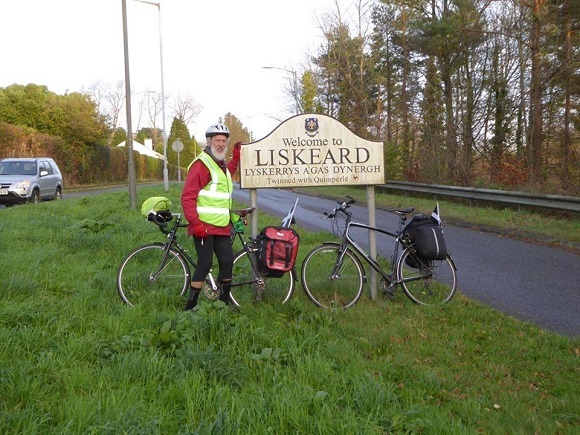 Riding via Liskeard and Launceston, they will be joined by Ricky Knight in Barnstaple. More cyclists will join them in Taunton, and Frome; then by the time they reach Newbury, it is expected that a large contingent will converge from Bristol, so a sizeable group should be arriving in London for the demonstration. Evening events at each stopover are being arranged, to help raise the profile of the climate campaign. If anyone would like to meet the cyclists or join them for part of their journey, check out the route and times on the Rebel Riders of the Ecopocalypse facebook page.